The last post covered a metaphor to encourage people to embrace their emotions. More research is showing there is power in calling them by name. 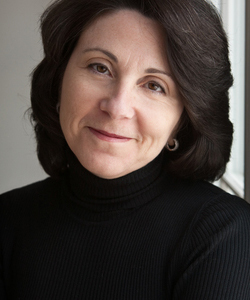 Lisa Feldman Barrett, PhD, Distinguished Professor of Psychology at Northeastern University. “Emotion differentiation” is the ability to say what one feels. It’s a central focus for emotional-intelligence researchers such as Lisa Feldman Barrett at Northeastern U. and Todd B. Kashdan at George Mason U. They’ve found that the people best able to regulate their feelings are the ones who can say they feel more regret than remorse, less guilt than shame or more miffed than peeved¹. Compared with those who only report feeling, “fine,” or “bad,” those with a fine-grained view of their emotions respond more resiliently to rejection². While they are more likely to employ many strategies to cope with unhappiness, they’re less likely to cope via alcohol abuse³ or violence⁴. Todd B. Kashdan, PhD, professor of clinical psychology at George Mason University. Trouble with emotion differentiation seems to appear in different emotional health issues. Demiralp and Thompson⁵ found that people with depression had, “less-differentiated negative emotional experiences”; i.e., they could distinguish more specific positive feelings than negative ones. Kashdan and Farmer found similar findings for those with Social Phobia⁶. Kashdan, Barrett and McKnight suggest knowing exactly what you’re feeling makes it easier to get those emotions’ message. That information connects us with other knowledge about what to expect and what to do. It also makes it easier to regulate the feelings, because they’re now classified either as motivation or as irrelevant. With less energy devoted to controlling one’s emotions, there’s more to put towards the things you want to achieve⁷. Poor emotional differentiation in action. They also point to evidence that emotion differentiation is a skill that can be taught⁷. This includes findings that emotionally-differentiating children behave and perform better in school⁹.One study found naming emotions helped arachnophobes tolerate exposure therapy better than distraction or cognitive reframing¹⁰. For therapists working in community mental health, these findings can be a selling point. Live in a tough neighborhood? Need to keep up a strong front? You want to know what you feel so you can recover more quickly. If a client only values logic, emotion differentiation can be a way of getting them to look at their feelings; Ciarrochi, Caputi and Mayer⁸ found that those who can identify specific emotions make decisions with less emotional bias. All this gives us one more reason to pull out our emotion-word sheets and encourage clients to name their feelings. I’ve asked clients rate the intensity of their distress before and after identifying emotions. More often than not, they’re surprised to find their stress level has dropped. 1. The tale of Rumplestiltskin. At the end of the story, the wicked little man had to give up his claim on the princess’ child. Why? Because she found out his name. 2. Tribal societies around the world, where members have a public name for common use, and a secret name kept private among family members. Why? Because knowing something’s name gives you power over it. Lindquist, K., & Barrett, L. F. (2008). Emotional complexity. Chapter in M. Lewis, J. M. Haviland-Jones, and L.F. Barrett (Eds. ), The handbook of emotion, 3rd Edition (p. 513-530). New York: Guilford. (3) Kashdan, T.B., †Ferssizidis, P., Collins, R.L., & Muraven, M. (2010). Emotion differentiation as resilience against excessive alcohol use: An ecological momentary assessment in underage social drinkers. Psychological Science, 21, 1341-1347. (4) Pond, R.S., Kashdan, T.B., Dewall, C.N., †Savostyanova, A. A., Lambert, N.M., & Fincham, F.D. (2012). Emotion differentiation buffers aggressive behavior in angered people: A daily diary analysis.-7- Emotion, 12, 326-337. (5) Demiralp E1, Thompson RJ, Mata J, Jaeggi SM, Buschkuehl M, Barrett LF, Ellsworth PC, Demiralp M, Hernandez-Garcia L, Deldin PJ, Gotlib IH, Jonides J. Feeling blue or turquoise? Emotional differentiation in major depressive disorder. Psychol Sci. 2012;23(11):1410-6. doi: 10.1177/0956797612444903. Epub 2012 Oct 15. (7) Kashdan, T.B., Barrett. L.F., & McKnight, P. E. (in press). Unpacking emotion differentiation: Transforming unpleasant experience by perceiving distinctions in negativity. Current Directions in Psychological Science. “Hard on yourself” can mean a hard time seeing support. PsychotherapySphere · A blog about psychology and psychotherapy practice.